Rolf Heimann is the CEO and founder of hessnatur Stiftung. In his 30-year career as a pioneer within the field of textile ecology, he has developed biodegradable colouring systems and coatings for textiles. After over 12 years of managing the Corporate Social Responsibility department at hessnatur, he founded hessnatur Stiftung – a non-profit and independent foundation focussing on applied sustainability within the textile industry. Hessnatur Stiftung supports textile industry stakeholders on their way towards more sustainability and helps them achieve measurable progress. In this interview, Rolf Heimann speaks about how the work of the foundation looks like and the reasons why, according to him, Berlin has gained an international lead in terms of sustainability. Mr Heimann, how can one imagine the topics and responsibilities of hessnatur Stiftung? The focus of our application-based project work is on sustainability consulting and on the educational field. Our team consisting of textile engineers, environmental experts and experts for social standards has a considerable expertise in the field of textile ecology, social standards, circularity and the management and monitoring systems required for implementation. The foundation leads and carries out multi-stakeholder network projects to promote sustainability in the fashion and textile industry – from cultivation, to the individual process stages through to the closing of textile cycles. In all its activities, hessnatur Stiftung takes an integrated and holistic sustainability approach. An important step towards sustainability will also be the development of more eco-friendly and sustainable alternatives to conventional materials and manufacturing methods. Can you provide a specific and current example? Both in theory and also through practical projects, hessnatur Stiftung encourages the development of sustainable alternatives to certain materials or processes. The foundation is currently running a project in Asia that involves decomposing waste products from the food industry into spinnable fibres. This method is expected to be widely used in the textile and fashion industry in the future. We are also currently supervising a project group of the Partnership for Sustainable Textiles, which is involved in finding a definition for sustainable fibres in a multi-stakeholder process. In addition to sustainability consulting for companies from the textile industry, hessnatur Stiftung supports also young talents. Could you tell us some more details about current projects? To promote change agents, hessnatur Stiftung supervises numerous master theses in the field of sustainable fashion and textiles. The aim is to support the students in bringing practical relevance into their theoretical work. This cooperation results in theses that bring forward both the industry and the students themselves, providing a good start for their career. The foundation also prepares concepts for Summer and Winter Schools that are carried out in cooperation with the universities. The intensive workshops last from one to several weeks and cover topics such as slow fashion. Students deal with the topic of holistic sustainability and learn how to implement this approach in their future professional practice. How do you assess the progress of this topic? What are the changes that have taken place in the textile industry in the last few years in terms of sustainability? We observe that a paradigm shift is steadily taking place in the fashion and textile industry, contributing to more transparency and accountability. Sustainability is increasingly being regarded not only as an unpleasant task, but as a value driver. And in this context, sustainability is not a linear phenomenon. Once certain structures are established and a certain understanding is gained, the progress in the companies is gaining momentum. How sustainable is in your opinion in particular the Berlin fashion industry? Berlin has a variety of labels that work with innovative and sustainable approaches. 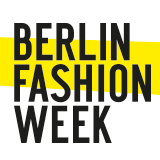 The Berlin Fashion Week is joined by more and more conventional trade fairs addressing this topic. One of them is the constantly growing NEONYT trade fair for sustainable fashion. In this concentration and quality, we see this as a unique development in the world. We therefore call Berlin often the “world capital of sustainable fashion”. Berlin must nevertheless continue its efforts to increase the lead and to gain a stronger position on the international level with regard to sustainability. Where do companies require most support in terms of sustainability? And what is the most straightforward step towards more sustainability? Many companies already have some good approaches. What is missing in many cases is a holistic sustainability concept and a measurable strategy with specific targets. Such a concept and strategy will help to implement the requirements strictly and systematically. This is precisely the field where we provide support for the companies. Moreover, another factor that is needed for implementation and that is frequently missing is application-oriented knowledge. This includes issues such as sustainable alternatives to certain materials and the question on how to use them in practice. We therefore support companies through in-house training sessions directly in the specialised departments on the one hand, and through public training offers that we have developed in cooperation with fashion and textile federations on the other. Thank you very much for the interview, Mr Heimann.